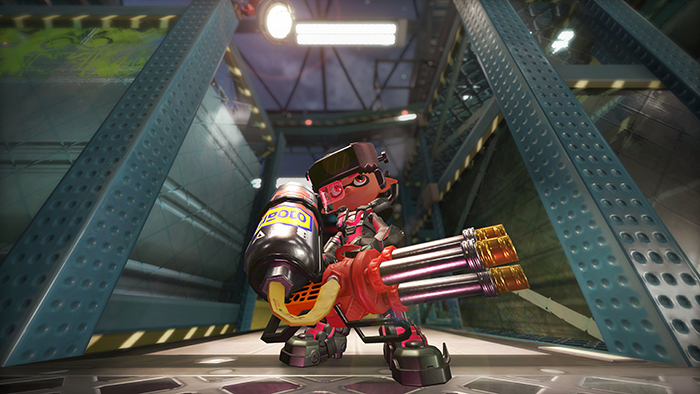 CoroCoro has posted a few screenshots of the Mecha Gear in Splatoon 2. 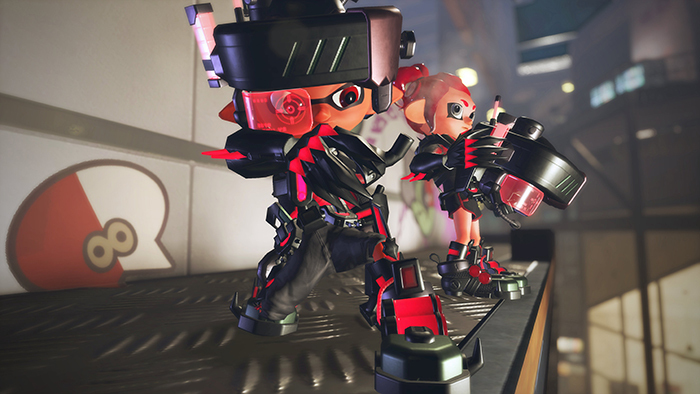 We’ve included the various images below. 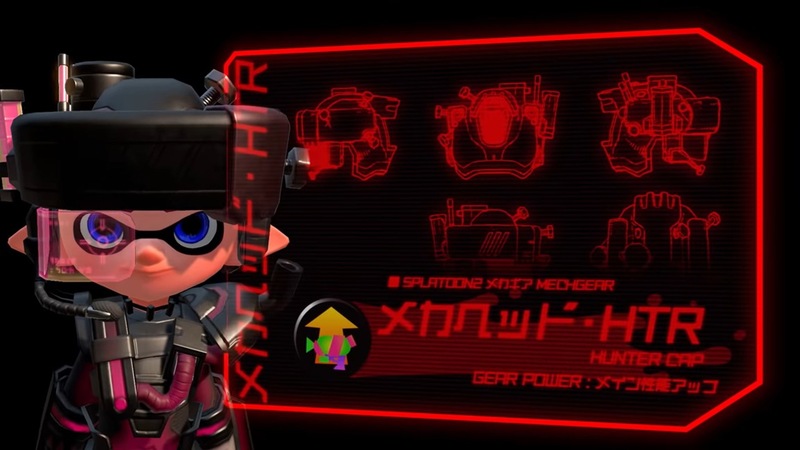 Unfortunately, the Mecha Gear is currently exclusive to CoroCoro. 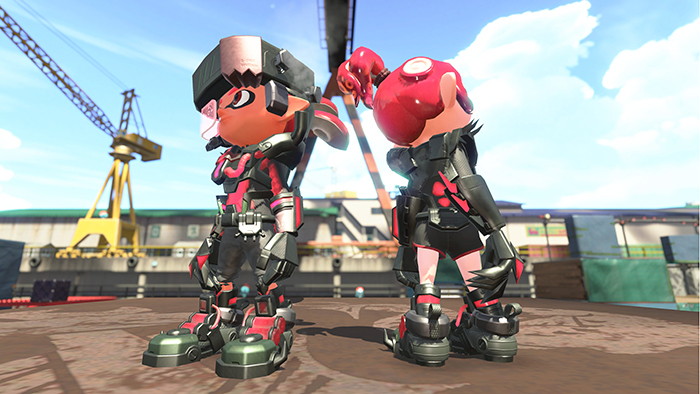 The latest issue of the magazine includes a code that can be redeemed in-game for the special outfit.